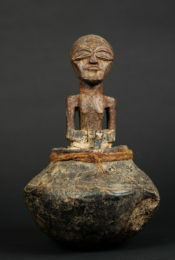 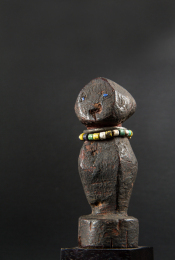 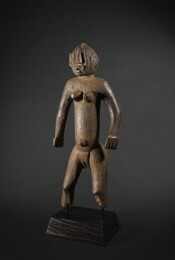 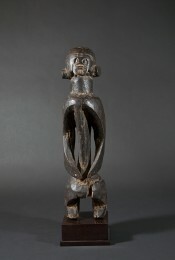 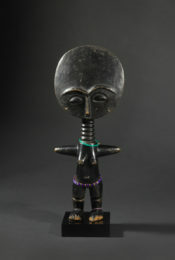 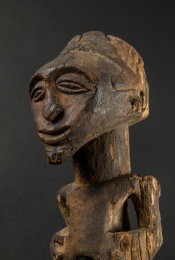 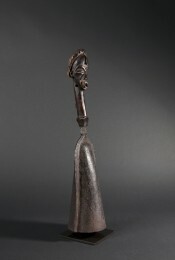 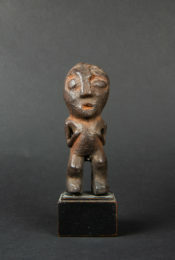 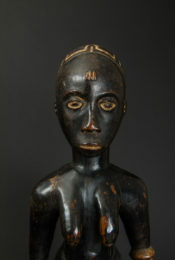 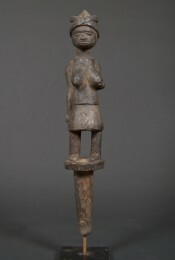 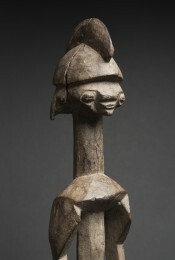 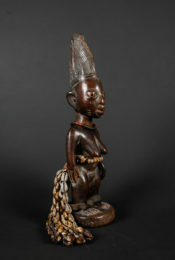 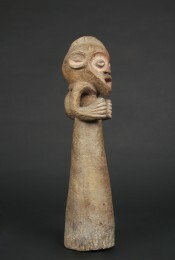 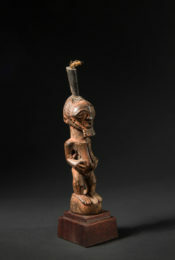 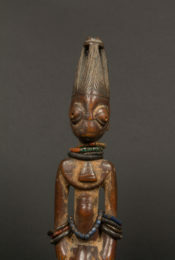 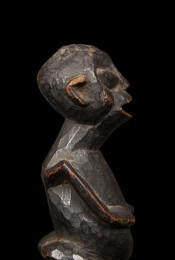 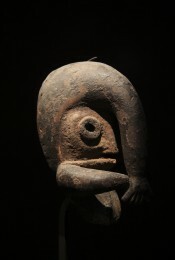 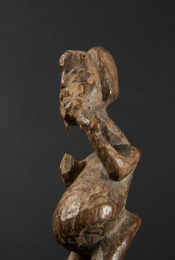 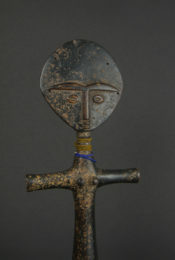 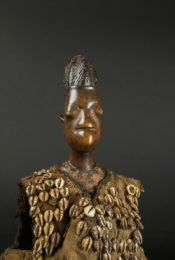 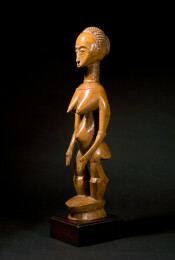 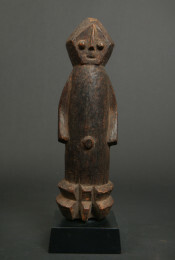 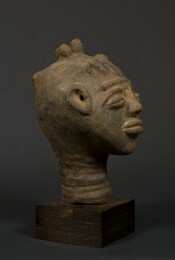 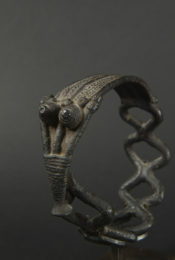 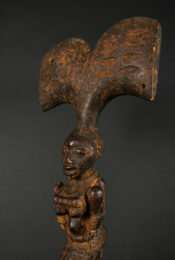 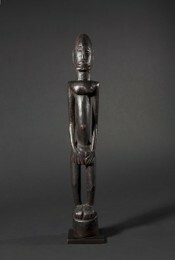 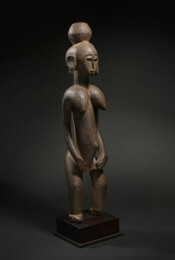 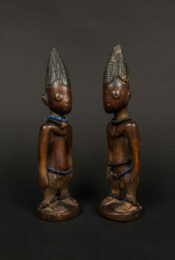 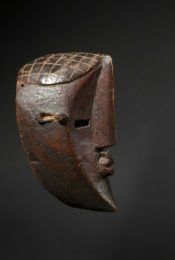 Also called Pubi, Vouvi or Puvi, the Vuvi people live in central Gabon. 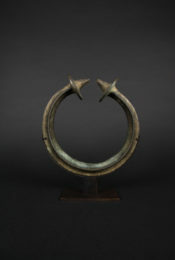 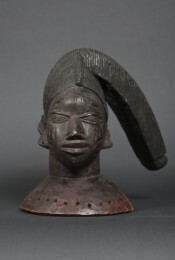 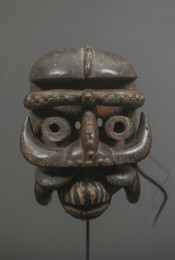 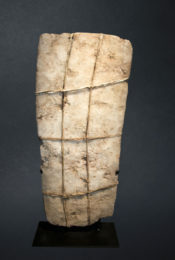 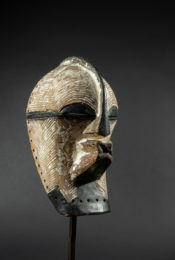 Masks such as the one presented here were worn at commemorative events. 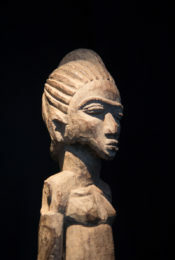 Each of them was endowed with a name and a personality. 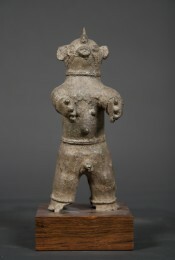 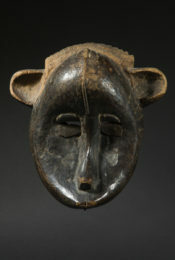 The ceremony took place at night or at dusk; the master of ceremony sang songs and announced the mask by its name. 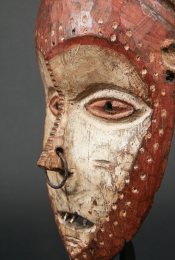 These appearances were punctuated by stories and music that gave meaning to these visions. 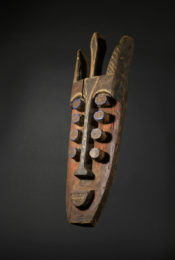 The music could also be interpreted as the voice of the spirits. 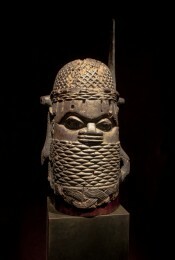 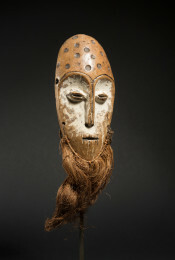 These masks were only worn by men who were the keepers of the masks’ secrets. 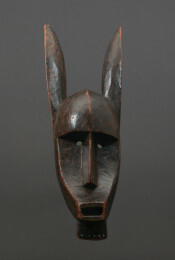 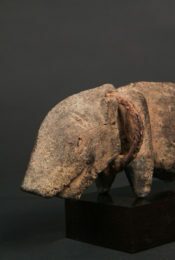 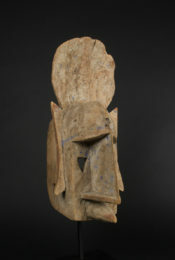 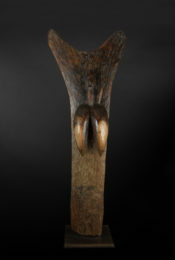 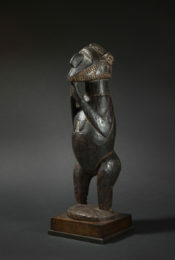 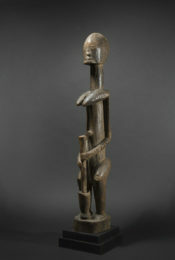 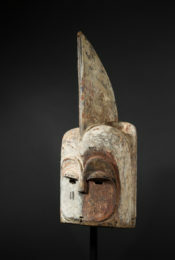 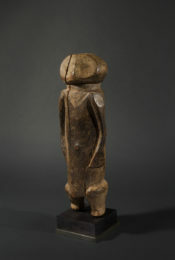 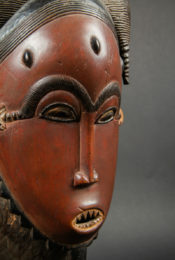 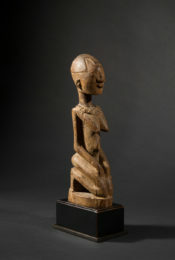 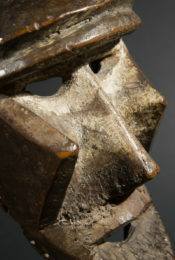 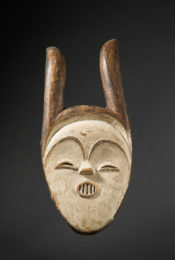 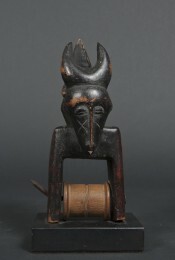 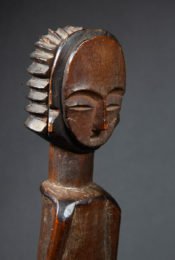 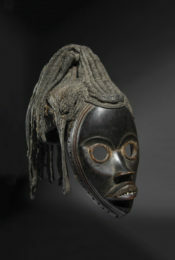 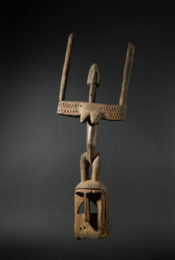 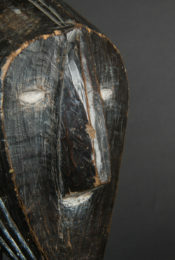 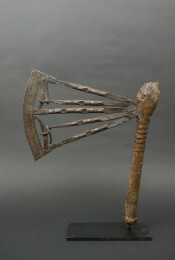 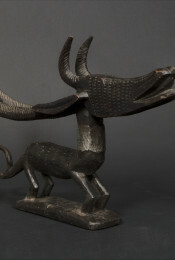 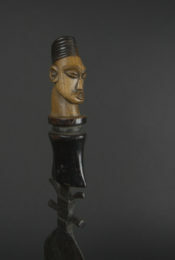 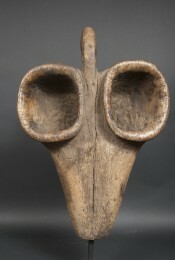 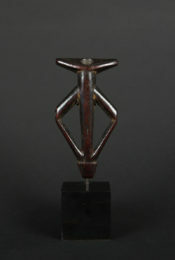 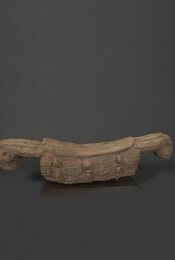 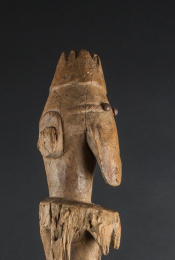 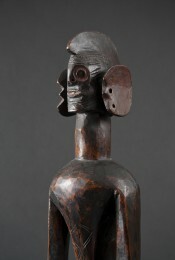 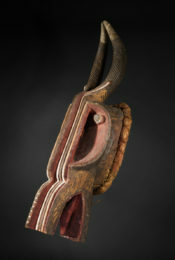 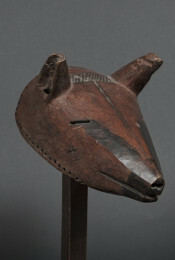 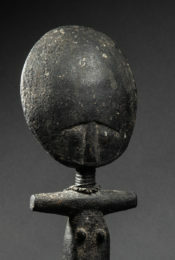 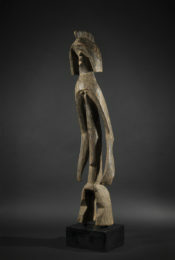 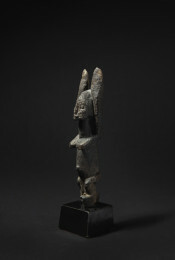 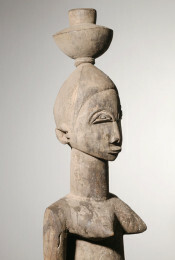 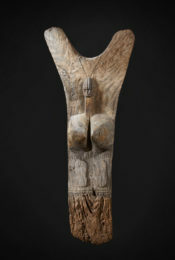 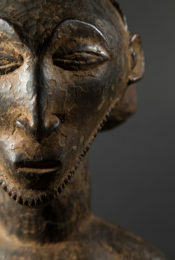 The white masks of Gabon had a major influence on modern art, in the image of the famous Fang mask – much admired by Picasso – belonging to Vlaminck: « It’s mind-boggling, its expression disturbing: these are shapes coming from the outdoors, from bright light… It is thus understandable that the way the volumes relate enable them to express light, or what happens when light coincides with one shape or another. 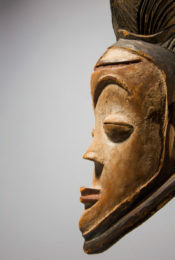 »* André Derain, 7 March 1906.